« From Caesarea Maritima to Tiberias…in a Day! 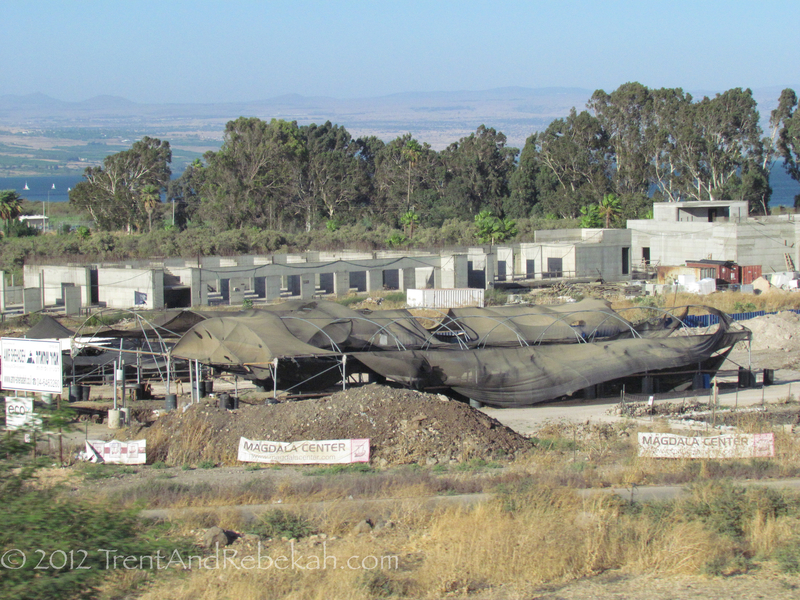 By a wonderful stroke of luck, we were able to see the excavations at the city of Magdala, which is not yet accessible to the public (thus, only a photo of the general site from the road). We know Magdala from the Bible, not by name, but rather through the woman Mary Magdalene (Mary of Magdala), a close associate of Christ and one of the first to witness His resurrection–as well as for previously being a demoniac with, not one, but 7 demons which Christ cast out (Luke 8:1-3). The town itself is located on the Sea of Galilee near Tiberias, and was known for its fish preserves industry. Josephus actually used this city as a stronghold during the Jewish rebellion in 67 AD, when he launched 230 boats across Galilee in what turned into a violent “naval battle” with Vespacian’s forces. Chorazin is one of the Triad of Woes from Matthew 11:21, who bore witness to wonders which would have made the hedonistic Tyre and Sidon beg for mercy; yet they still maintained an impenitent attitude. Thus, Christ warned them that even Tyre and Sidon would be better off than these three cities. Archaeologists have found several interesting artifacts here, especially surrounding a synagogue–including the Seat of Moses (solid basalt seat, perhaps for teachers) as well as stone lions and some pagan motifs. 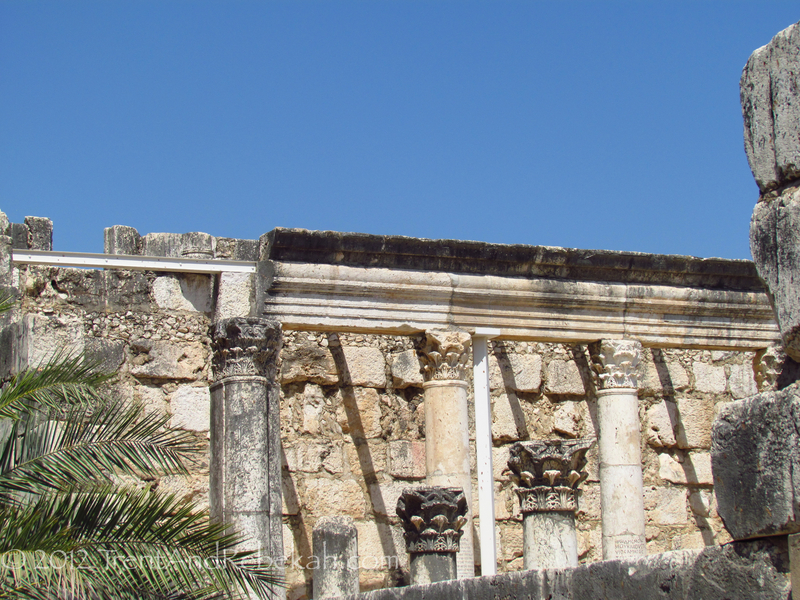 Capernaum is another of the three cities Christ condemned for their disbelief. The city itself, now known as Kefar Nahum (City of Nahum), was located between the Herods’ territories. The rich history of this site as far as the Bible goes is worth a whole post in and of itself. 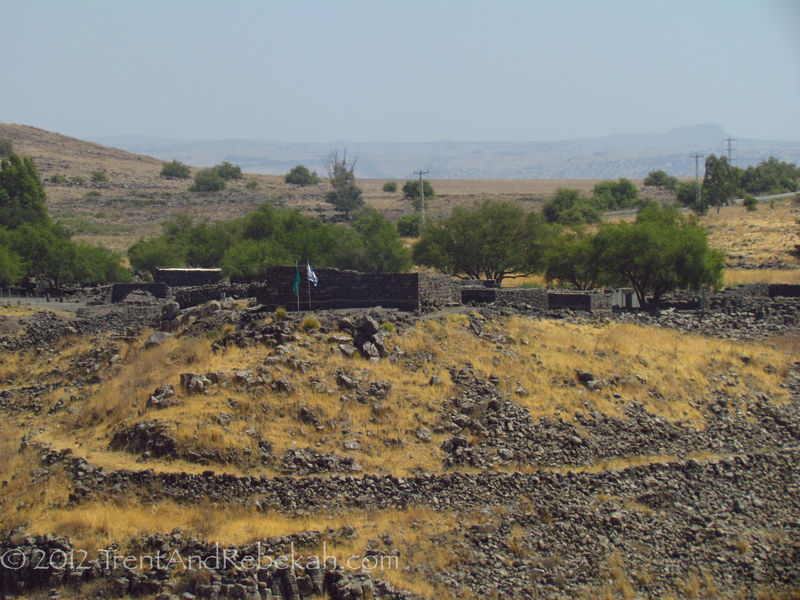 Christ performed many miracles here, and a soaring 4th or 5th-century synagogue was built on the basalt ruins of the same 1st-century synagogue Jesus may have seen. Historically, Josephus wound up spending a quite a miserable night here when his horse threw him in battle nearby and he received a nasty sprain. Lastly, ancient city gates, particularly as at the traditional site for Bethsaida (we had to wrap up the triad somehow), are something we both found interesting from today. Typically, when you think about ancient city gates, we all picture the medieval “Lord of the Rings” type gate systems. While the thought of a lower and upper gate system sometimes depicted in movies is somewhat valid, the “gates” of Old Testament Biblical times (Iron Age times of the Conquest, Judges, Kingdom periods) are different. 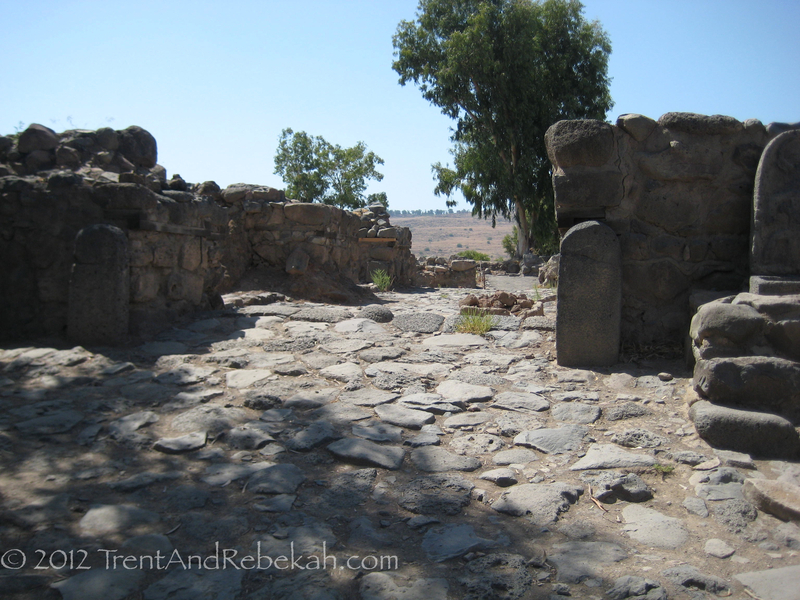 The following picture and video show the gate system at the traditional site of Bethsaida (mentioned in Matt. 11:20-24, Mark 8:22-26, and Luke 9:10-17). We’re not considering site identification here, since this site does not have strong archaeological evidence, as other sites do to support its popular identification. Our purpose is the gate system. To see other places we visited today, see the blogs below. This entry was posted on September 8, 2012 at 9:51 pm and is filed under Ancient History, Biblical Site. You can follow any responses to this entry through the RSS 2.0 feed. You can leave a response, or trackback from your own site.